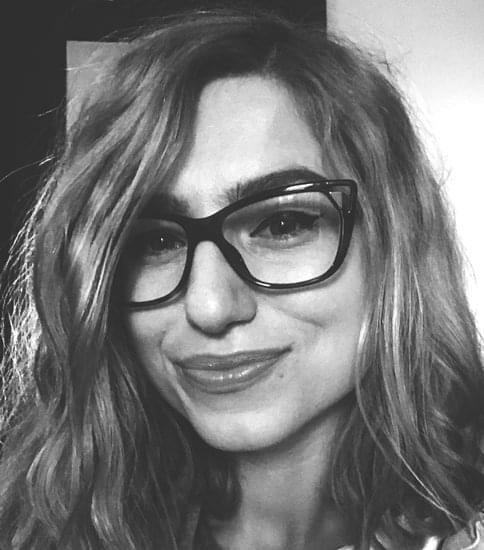 Hello there, fellow storyteller and welcome to an inside view on Instagram Stories - the online and visual version the every-day novel that is our lives. Be it for pleasure or for business, the 21st century loves to build narratives and duplicate offline events with an online “post or it didn’t happen”. 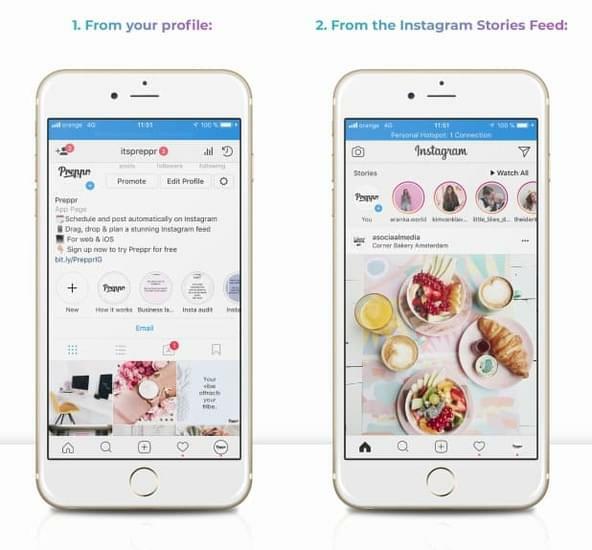 But more than just a virtual way of proving that our real lives are in fact real, Instagram Stories have become an essential tool in the marketing kit of businesses, small and big alike. In the short time since its launch (or is it a very long time in the online world? ), Instagram Stories has gained an impressive stronghold of users. At the beginning of 2018, Instagram Stories had 300 million active users. That. Is. A. Lot. And it’s a lot if you consider that the total number of Monthly Active Instagram Users is 800 million. There’s no doubt that the feature is massively gaining in popularity and the good news is that it’s still on a growth path. And while these statistics might be just a little bit uplifting for regular users who now have more followers to interact with, for businesses it reads as a big opportunity. While many business owners have recognized the power of Instagram, there is still a large majority that ignores Instagram Stories. And that’s a big shame. We’re going to state that again: A BIG SHAME. Excuse the Caps, we don’t usually condone it, but sometimes it is necessary. However, if you’re reading this, it means that you know how important Instagram Stories can be in your overall marketing strategy. And we’re going to talk all about how to create a killer professional Instagram Strategy later. Right now, let’s go over the benefits and see exactly how to win them over for your business. If we should pick one reason and one reason only why you should use Instagram Stories for your business, this would be it! Instagram’s current feed displays content based on a complex algorithm that’s not subject to time. Instead, it takes into account the rate of engagement and other complicated measures which are not even fully disclosed. However, all content posted on Instagram Stories is displayed based on the time they were posted and their novelty. That means that if it’s fresh, your followers are going to see it! Period. It doesn’t matter how much engagement your Stories generate. That means that Instagram Stories are your fast track to getting in front of your followers! Why would you miss it? With their ephemeral lifespan and their funky add-on tools, Stories are an expression of what’s happening in the moment. They are the carpe diem of all the features on Instagram and capture nowness and spontaneity. Thus, by using Instagram Stories, you’ll be able to shed your serious face and get closer to your customers! That means building more powerful connections and gaining new insights into their behavior. If you have over 10,000 followers on your Instagram profile, then you have the ability to add links to your Instagram Stories. That means users will be able to access your website directly from the stories section, without checking out the link in your bio and without the frustrating mention “link in bio”. Thus, Instagram Stories gives you streamlined access to driving more traffic to where you need it most. Since Instagram Stories are only visible for 24 hours, you have the opportunity to test your wildest ideas, without being afraid of failure. Actually, the failed Stories will help you draw serious learnings for future campaigns. One of your on-going goals on Instagram is to attract more followers. And to do that, you must make sure that your chances of getting discovered are at their highest. With Instagram Stories people tags and location tags you’ll do just that. We’re firm believers in the power of insights and data. And while it’s clear from the get-go that Instagram Stories is a mandatory marketing tool, we always want to back up affirmations with strong statistics. So we’ve gathered a bunch of numbers that support the claim. Actually, these numbers will make you want to get up right now and start planning your Instagram Stories strategy. Using Instagram Stories brings brands a direct channel of communication with their followers. Actually, 1 in 5 organic Stories gets a direct message. Thus, if in 2017, only 8% of brands used ads in Instagram Stories, things are about to change in 2018, as more than 30% of brands are expected to do so, according to their own reports. 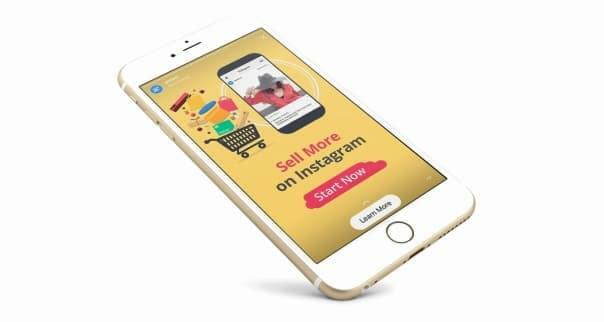 And, if you correlate the fact that over a third of Instagram users have made a mobile purchase with the astonishing statistic that 75% of users take action post-viewing an Instagram post, things are looking great indeed! Another encouraging statistics for businesses all over the world is the time spent by users browsing the Stories section. Actually, since its launch, users are spending more time on Instagram than before, averaging to around 28 minutes daily for users between 18 and 35 years old. It seems like Instagrammers are really digging the Stories feature even more than their feeds. No statistic overview for businesses would be complete without looking at how influencers are behaving. In this case of the matter, influencer marketing on Snapchat Stories has taken a plunge. Many have migrated from Snapchat to Instagram and are now posting twice as much on Instagram Stories than they are on Snapchat Stories. So what is there to do when all the trends and numbers point into the direction of Instagram Stories? Well, we guess its time to post one. Ready? Let’s take it home! We’ve kept telling you how easy it is to create an Instagram Story. And we’re not taking that back! 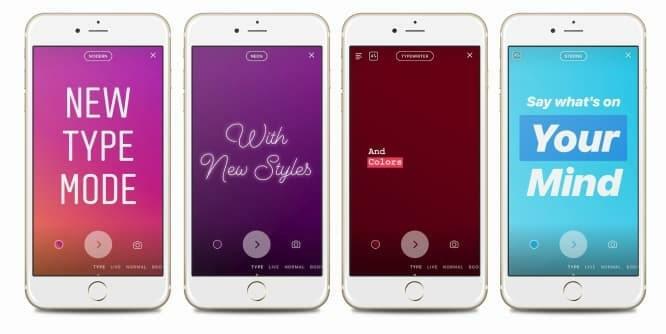 But you need to know that, in its desire to bring as many tools for users and businesses alike, Instagram Stories now has a wide range of modes, features, and tools. Matter of fact is, you might not know about each and every one of them. And that is definitely a shame! Thus, we want to take it step by step and mode by mode to ensure you become an all knowing master of how to create every imaginable type of story! 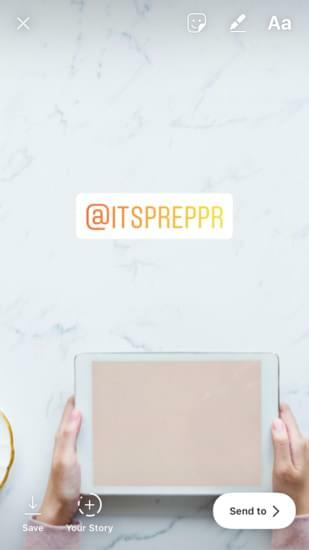 Our goal is to help you diversify not only your overall Instagram Strategy, but your Instagram Stories Strategy as well. What’s more, we’re going to show you exactly how to enhance your stories and what features to use to do so. No matter where you choose to access the editor from, once you do, you’ll be greeted by a minimalist, intuitive and simple to use interface. In the right upper corner, you’ll see an arrow. If you want to abort the mission of posting, simply tap that and you’ll get back to your feed or profile. This is a fairly new addition to Instagram Stories which, until February 2018, only allowed for photo or video content. How is the type mode different, you ask? Well, the type mode allows you to share photos with lovely fonts and equally lovely backgrounds. With type, it’s all about typography. Sure, typography that has a strong visual background, but typography nonetheless. Pick the one that better suits your style and keep on customizing your Story. 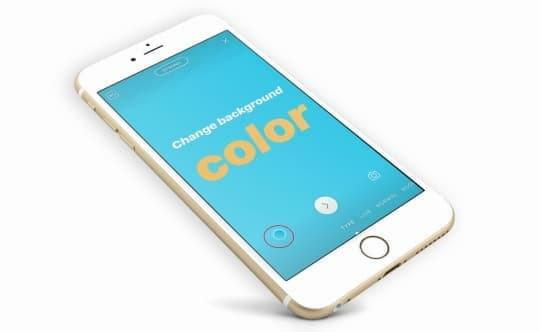 To change the background color, tap the button in the bottom left corner until you find that perfect merge between font and color. Don’t stop tapping until you’re 100% satisfied. It’s trial and error, baby! 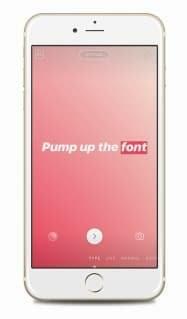 If you have chosen the Typewriter or Strong font, you’ll also have the option to highlight selected parts of your text and customizing the highlight color by tapping the star-dusted “A” in the upper left corner. And if you’re not yet satisfied with the level of customization, hit the arrow to dig into some more editing options. Both for your text but also for the background. Oh, and if you’re still addicted to photos or videos, but want to sprinkle them up with the new type mode, of course you can do that! Type the camera icon in the lower right of the screen and have a go at combining the best of the two worlds! 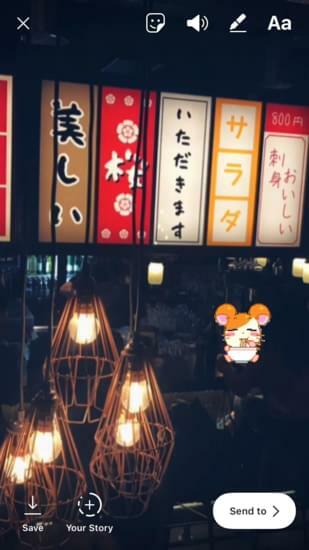 Probably the most interactive mode of all the modes available in Instagram Stories, The Live Mode brings extra layers of authenticity and engagement to an already very exciting feature. This is exactly the kind of content Mark Zuckerberg had in mind when he proposed Instagram Stories as a means of giving users the power to post more videos. Or at least we have a feeling that this is exactly what he thought of. The benefits of going live with Instagram Stories can be truly exciting for your marketing strategy. And we’re definitely going to dig into that later, so keep on reading. For now, let’s cover the basics and see exactly how you can go Live with Instagram Stories. Tap the Live mode from the lower side of your screen. 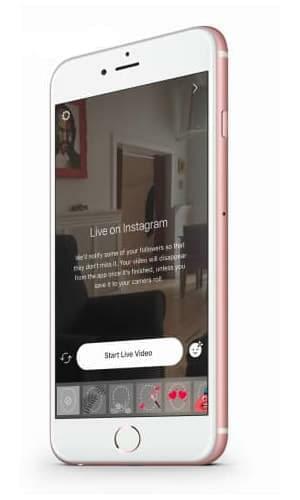 If you want, you can also select a theme to incorporate into your live video by clicking the button located in the lower right corner of the screen. Once you go live, there are a bunch of other nice features you can turn on in your advance. The most interesting one is calling out another Instagram fellow to join in your live. Actually, this is quite a fresh rollout to Instagram. Start a live video in Stories. As the name suggests, this is the original mode created for Instagram Stories. 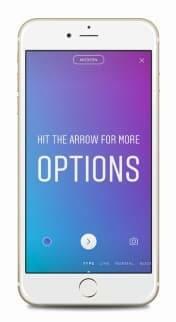 Once you select the normal mode, you can choose whether to select a photo from your camera feed or if you want to take a photo right then and there. More than often, you’ll probably go for a picture that you’ve already taken, since you’ll have your strategy prepared in advance. The boomerang mode creates those loopy videos that have invaded the internet, becoming a force to be reckoned with! While this feature might be more useful to regular users, business could definitely find key times to use it as well. We don’t recommend you go all wild with it, but a well-placed boomerang can get you the love you’re looking for. Since boomerangs are a hit or miss affair, it’s better to try a few before publishing your Story. And, if you want to publish a boomerang you already shot with another app, you can do it directly from the Normal Mode. Now this is a very cool mode to play with! And did we mention fun? To change between options, tap the “musical note” located right above the shutter button. Each Superzoom Mode option comes accompanied by a specific music to go with the mood. Going backward in time has never been so easy or so enjoyable! Tap the Rewind Mode, shoot a video, and then watch as the magic happens and it plays in rewind. There’s nothing more to say about this mode as it is super-mega-extra simple to use, just by pressing the shutter button. The hard part (or should we say the crazy-fun part) is coming up with situations that will work for it. If you’ve paid close attention (or actually, not so close) you’ve definitely noticed a pattern. Each mode name is basically a straight-forward explanation of what the mode does. Thus, the hands-free mode allows you more freedom when recording a video. You’ll only have to push a single button for the recording to start. From here on, let your imagination flow. That’s it! 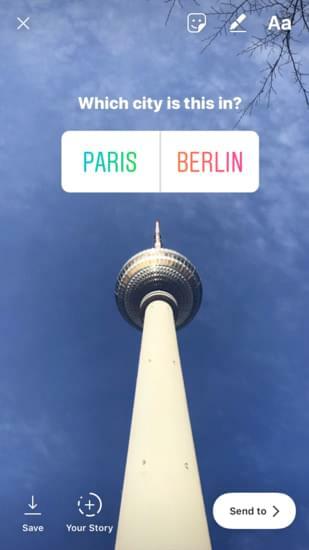 Oh, this might be our favorite Instagram Stories Mode. Although we don’t use it that often, it’s possibilities are really exciting. It’s basically an entire studio in just one feature. What else could we desire? This mode will help you create an animated, interesting video with just a few clicks. And it’s so very simple to use! Simply take as many shots as you want and hit done when you’re ready. 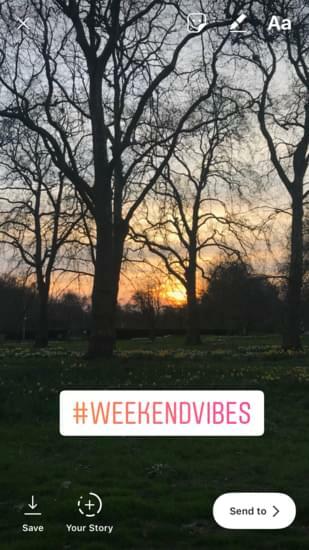 This is the latest mode added to Instagram Stories at the moment of publishing this Stories’ Blueprint, in April 2018. This mode helps you to take professional portraits without the professional photographer or a fancy camera or phone. When you select this mode, all the focus in the photo will be on the subject’s face, blurring the background. 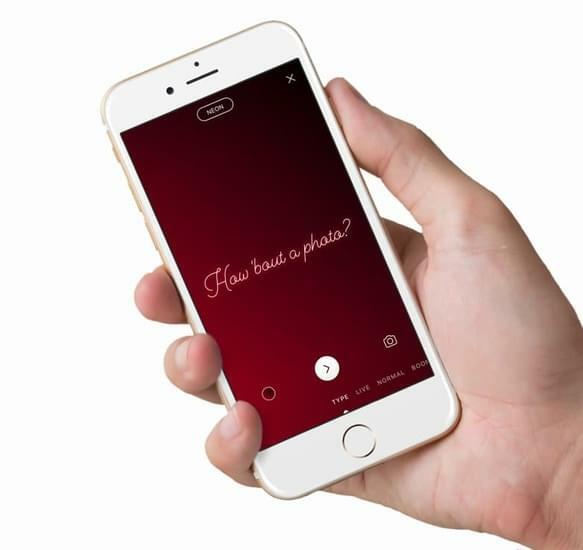 It’s available for both front-facing and rear-facing camera options, so you can play along with selfies or regular photos until you get that pro, depth-of-field effect you’re looking for. As you can see, Instagram aims to become a one-stop-shop for creative needs by providing all the modes you might want. That’s why it also comes equipped with the possibility to save all materials you create in every mode for later publishing. Since businesses will most definitely post pre-made content in Stories. Tagging a location (or geotagging) shouldn’t be restricted to letting people know where you’re posting from. On the contrary. You can use the location sticker to also reach out to followers in specific locations you’re targeting. Tagging people in your Instagram Stories can be done with the @mention sticker. Remember, you should always tag only people to whom your Story is relevant and you shouldn’t repeatedly tag the same people. But when done right, this tactic can help you gain more visibility. Instagram is all about hashtags. Don’t you ever forget that! And Instagram Stories is no different. So don’t be afraid to sprinkle your Stories with a few (yes, relevant) hashtags. 1.4. What’s in a poll? A lot of engagement. You’d be surprised how much a simple poll can achieve. If you make your visual and question interesting enough, people will jump right on board. You can use Instagram Stories polls for contests, giving info about your products or asking for feedback. GIFs and stickers are what separate feed posts from Instagram Stories and they should be used whenever possible. These will help you make your stories authentic and fun. As with all other techniques, just don’t overdo it. Otherwise, you should be perfectly fine! Until February 2018, resharing on Instagram was only possible through 3rd party apps or by manually taking screenshots and posting them with the due credits. However, Instagram is built upon constant updates. And the need for a resharing feature was well known to them. So they listened and implemented. Thus, if you want to gain more visibility and increase your reach, nurture the sense of a community or show the real-life use of your products or services, you can now reshare posts from your followers directly to your Instagram Stories…if you’re among the selected accounts. As all new features introduced by Instagram, this too is only available (for now) to a selected number of accounts. However, it will soon reach everybody and you’d better be prepared. So, what do you need to know? First, you always need to ask for permission. Secondly, only reshare content that is also in line with your values and aesthetics. Thirdly, it’s a really effective tactic. This is indeed one of the most exciting features in Instagram Stories right now. The main reason for this hype is the fact that Instagram is not very link-friendly in general. Beside the description in a user’s bio, links aren’t pretty much welcomed anywhere else…except for Instagram Stories. But hold on a second, because things are not as simple as they seem! To be able to include links in your Instagram Stories you must have a business profile. So far, so good! But here’s the trick: your business profile must also have more than 10,000 followers. Yeap, a pretty shabby number. But not to despair. When launched, the feature was initially available only to those with over 1m followers! So, while you’re also putting loads of efforts into building up your followers’ base and Instagram is lowering the requirements, you’ll most definitely meet in the middle. Once you click the chain link icon (step 3), you’ll be instantly prompted with a new window. Here you’ll be able to input your link. Since Instagram doesn’t yet track any statistics URL-related, you’ll need to use a link shortener (bit.ly or rebrand.ly for e.g.) to track metrics. Totally up to you, but we know we like our Instagram Strategy strongly rooted in data. Okay, back to our link business. After inputting your URL, click the green tick and you’ll be good to go. Actually, the chain icon will now appear highlighted as to let you know a link is added. But your job here is not quite done. Don’t forget about step 4: add a CTA! This is highly important because the link icon will only appear at the bottom of your screen and might not be that visible. Thus, doubling the link button with a text call to action will make a huge difference! You can view the Stories feature as a single, stand-alone slide, or you can use it to create coherent stories out of various photos, videos and texts. And while a Story has its charm, the best way to serve the feature to your followers is by creating a fascinating narrative. Story after story, it all has to come together and form a cohesive short clip. And, if you’ve gotten a hang of how Instagram Stories works, you know it’s going to be very easy. 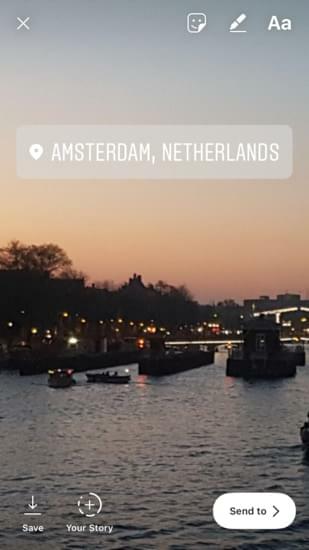 Actually, all you have to do to add another story is to open Instagram Stories and tap once more on your profile pic in the upper left corner of the screen. You’ll even notice a “+” sign right next to it. Now, repeat this process as many times as you want. But beware! Follow a strategy. That’s about all the technical skills you need to know in order to start posting multiple stories. The real challenge lies in finding the perfect concepts and tactics to create coherent narratives and engage your audience. If you want to continue reading, download the full version of the Instagram Stories Blueprint below!